Check new features of iOS 12/12.2, iOS 12/12.2 update preparations, and different solutions for iOS 12/12.2 update & downgrade. Vote: Will You Update to iOS 12/12.2? Here comes the annual iOS update. This year, iOS 12 will focus on performance and reliability improvements, along with new features like Memoji, Screen Time, Group FaceTime, and more. iOS 12 supports all of the same iPhones and iPads that iOS 11 worked with, which means it'll work on the iPhone 5s, iPad Air and iPad mini 2 and all later devices. So, will you update your device to iOS 12? Missing the old days when Apple released well-polished software. Now, devices just get screwed by new iOS 12 updates. There are so many new features and I really hope iOS 12 will be faster and more stable than iOS 11. I update to iOS 12 for sure. No, I will NOT update to iOS 12. Yes, I will update to iOS 12. The new iOS 12/12.2 brings a lot of new features to both iPhone and iPad. Apple claims that iOS 12/12.2 is designed to make your iPhone and iPad experience even faster, more responsive, and more delightful. One of the features which draws most attention in public is the improved performance. Let's see what other new features iOS 12/12.2 brings to us. iOS 12/12.2 has resolved most common iOS 11 problems. Older iPhones will be 40% to 70% faster in different features. There's also a whole new chart that displays battery usage information. Alternative Face ID for a different appearance. Better security with Face ID. New iPad Control Center gesture. Do Not Disturb, Scan QR Code has been added to Control Center. Siri Shortcut allows you to assign phrases to tasks. Siri can now translate over 40 language pairs. It silences the notification delivery sounds, and hides visual display too. You can customize when DND ends. Group FaceTime for up to 32 people with dynamic UI. Can use Animoji and Memoji in FaceTime. Lets you measure the distance between two objects, lines and more. It uses AR to function. Actually, it is very easy and simple to update your iPhone/iPad/iPod touch to iOS 12/12.2. But to make the journey smooth and safe, you'd better do the following preparations first. Especially, make a full backup of your data before you do anything. Why? No one can suffer the loss of iOS data in any cases. iOS 12/12.2 will be available for iPhones and iPads launched as far back as 2013. Every iOS device that can run on iOS 11 can also run on iOS 12/12.2. These are all the iPhone, iPad, and iPod touch devices that support iOS 12/12.2. Do not neglect: a full backup of your iOS device is extremely important before iOS 12/12.2 update. Data loss happens A LOT during and after people update to new iOS version every year. So, do remember to backup your iPhone/iPad before you do anything. Whenever anything unexpected happens, we are therefore able to restore our data easily from the iOS backups. Here there are 3 ways to backup your iPhone/iPad easily. 1-click to backup iPhone/iPad in minutes. Takes a full backup, or only backs up selected data types. Restores data to iPhone/iPad selectively. Connect your iPhone/iPad to a Wi-Fi network. Official backup solution. 5 GB of free storage. Takes at least 20-30 minutes to back up iPhone/iPad. Cannot selectively backup and restore iPhone/iPad. Backup data cannot be previewed. Needs to factory reset iPhone/iPad to restore backup data. Connect your iPhone/iPad to your computer. Click File > Devices > Backup, click Back Up Now from Summary page. No need to download third-party software. No need to pay for extra iCloud storage. Does not support selective backup & restore for iPhone/iPad. Slow backup and restore process. A lot of users encounter errors when using iTunes. When you update your iOS device wirelessly, you might see a message There's not enough available storage to download iOS 12/12.2. The new iOS 12/12.2 update installer is around 2GB. Your iPhone or iPad also requires 1.5 - 2GB additional free storage to install the iOS 12/12.2 update. So, to update to iOS 12/12.2 smoothly, you need at least 4 - 5 GB of free space on your iPhone/iPad. To check available storage on iPhone, go to Settings > General > iPhone Storage. You can also follow the tips below to free up more space for iOS 12/12.2 update. Go to Settings > iTunes & App Stores and enable Offload Unused Apps. This will delete the iOS app but keep documents and data so you can restore it later from the App Store. Videos and music usually takes a lot more storage than you expected. If you use Apple Music, go to Settings > Music > Downloaded Music. Swipe left on the music or album and tap Delete. Go to Settings > Messages > Message History > Keep Messages > select 30 days, and delete all the messages and attachments older than 30 days. See other tips on deleting iPhone messages. With dr.fone - Erase (iOS), we can easily delete all temporary files, App generated files, cached files and unused Apps to free up space. And it also compresses iPhone photos without quality loss. When the iOS 12/12.2 update comes out, your iPhone/iPad/iPod touch will receive the update notice. 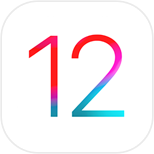 Generally there are two methods to install iOS 12/12.2 on your iPhone, iPad, or iPod touch: Over the Air and iTunes. 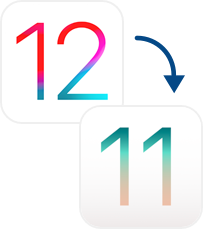 You can choose either method to update your iPhone/iPad to iOS 12/12.2 based on actual situations. Plug your device into power and connect to the Internet via Wi-Fi. Tap Install. Or you can tap Later and choose Install Tonight or Remind Me Later. Connect your iOS device to computer. Open iTunes and select your iPhone/iPad/iPod touch. Enter your passcode of your iOS device. Along with the installation of iOS 12/12.2 update, thousands of iOS users encountered various update problems, which caused data loss, or even iPhone not functioning. This seems to be unexpected and prevalent. Here are some of the most complained iOS 12/12.2 update problems. Don't worry, let dr.fone help you out! Recover lost data during and after iOS 12/12.2 update (dr.fone - Recover). Fix various iOS system issues with no data loss (dr.fone - Repair). Though Apple focuses a lot on the performance and reliability improvement for iOS 12, nobody can ensure that iOS 12 is bug-free and will work perfectly on your iDevice. 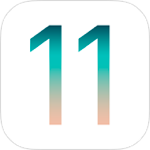 If iOS 12 is causing issues on your iPhone or iPad and driving you crazy, you can actually downgrade from iOS 12 to iOS 11.4 before Apple stops signing iOS 11.4 firmware. Launch dr.fone on your computer and select Repair. Connect your iPhone/iPad to computer. Follow the instructions to put your device in DFU mode. Select iPhone model, and specify iOS 11.4 as the firmware you want to download. Once the firmware is downloaded, click Fix Now. After a few minutes, your iPhone will restart and you will have iOS 11.4 on your iPhone/iPad. Tick the Retain native data option. So your data will remain intact after you downgrade to iOS 11.4.
dr.fone - Repair can also help you fix various issues you face with iOS 12/12.2 update or downgrade. Backup your iPhone with dr. fone. Go to ipsw.me, select your iPhone model and download the proper IPSW file. Connect your iOS device to computer and run your iTunes. Put device into DFU mode. Search your device icon on iTunes and click it > Choose Summary tab and, (For Mac) press "Option" and click "Restore iPhone (or iPad/iPod)..."; (For Windows) press "Shift" and click "Restore iPhone (or iPad/iPod)…". Find previous iOS ipsw file you have downloaded, select it and click "Open". iOS 12 downgrade with iTunes may result in complete data loss. It's very important to backup your data first. You cannot restore your device with the backup that you created with iCloud/iTunes before downgrading. So remember to backup your iPhone with dr.fone - Backup & Restore (iOS). From better performance to an improved Face ID, iOS 12/12.2 certainly comes with numerous features. Here’s every major feature that you can find in iOS 12/12.2. Actually it's very common for users that iPhone gets stuck on Checking for Update screen. We would give you quick solutions to fix iOS 12/12.2 update check stucking. People get depressed when iPhone gets bricked after iOS 12/12.2 update. This article will just help you solve iPhone bricked after iOS 12/12.2 update issue in a very short time. You will learn how to downgrade from iOS 12/12.2 without iTunes, with iTunes, which software to use for backup and how to solve downgrade stuck issues in this article. Some users might find their contacts or data lost after iOS 12/12.2 update. Fortunately, we have collected 3 workable ways to recover your lost information on iOS 12/12.2 devices. If there is a problem with the update, your iPhone may get stuck on Apple logo after iOS 12/12.2 update as well. You can follow easy steps to get it fixed by yourself. Photos disappeared after iOS 12/12.2 update? This article is designed to troubleshoot this issue by providing 5 effective solutions to get back lost photos after iOS 12/12.2 update. If you too have faced iOS 12/12.2 downgrade problems, do not panic. It’s actually easier to fix than you think. Let's check how to fix iOS 12/12.2 downgrade stuck issues now. Recover data from iOS devices, iCloud and iTunes backups. Manage iPhone/iPad photos, music, videos, contacts, messages, etc. without iTunes. Backup iOS devices to Mac/PC comprehensively or selectively.